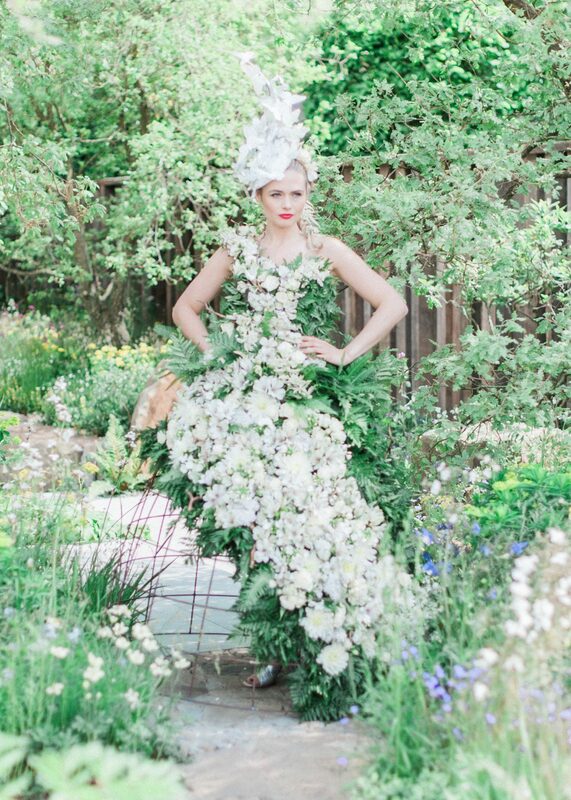 Celebrity florist, Larry Walshe was commissioned by M&G Investments to create a bespoke dress made of over 1,200 flowers, to celebrate their sixth consecutive year as title sponsor of the RHS Chelsea Flower Show. 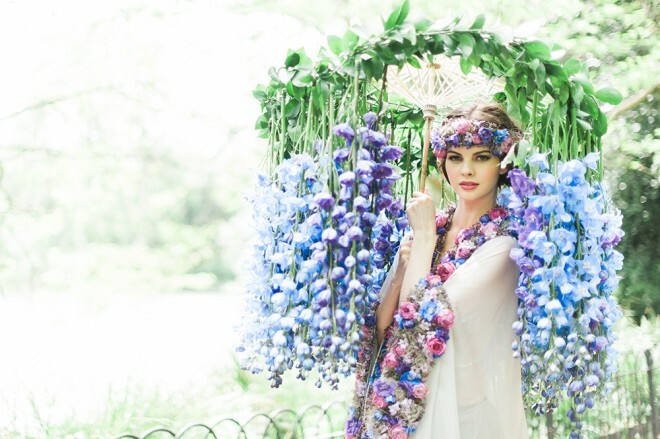 This stunning dress features over 1,200 real Delphiniums, Spray Roses, Hyacinths & Limonium. Larry Walshe is one of Britain’s foremost luxury floral designers. 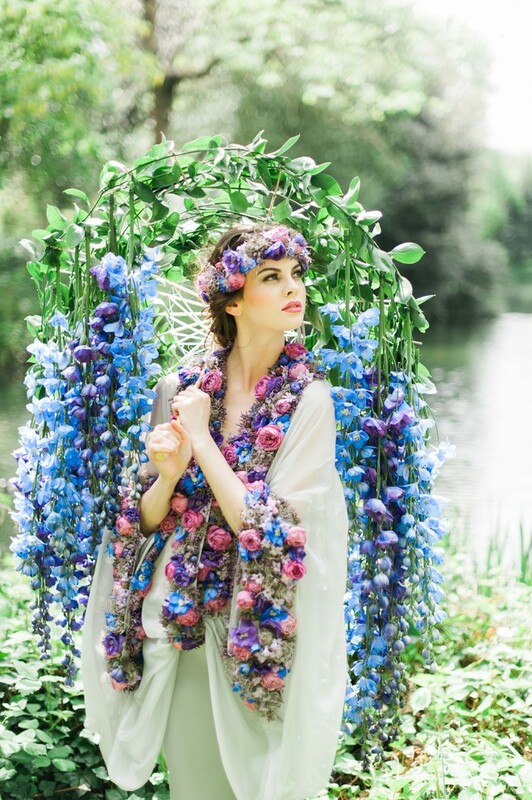 Based in London, his lavish, abundant use of texture and colour, coupled with a distinctive vision delivers opulent, memorable and dramatic designs that transform weddings and events both in the UK and abroad. The dress is crafted from very fine, soft grey voile and silk by skilled artisans and assumes an organic silhouette that motions the fluidity and echoes the calmness of water. Fabric is gathered at a 1930’s drop waist to create a seductive and romantic form, which draws further inspiration from the translucency of water. 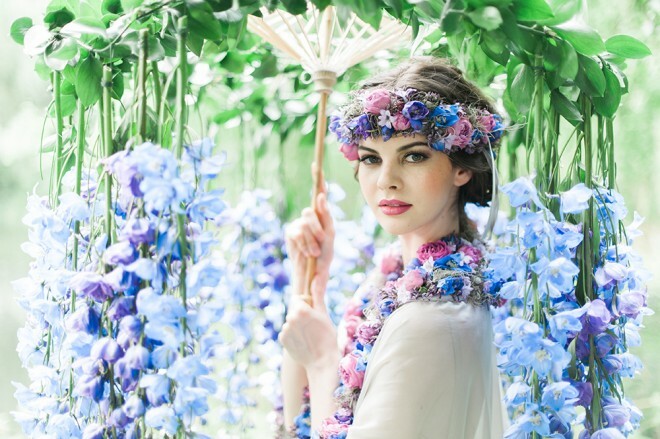 Timeless in its simplicity, the intricate floral embroidery detailing features delphiniums, spray roses, brunia, hyacinths and limonium. 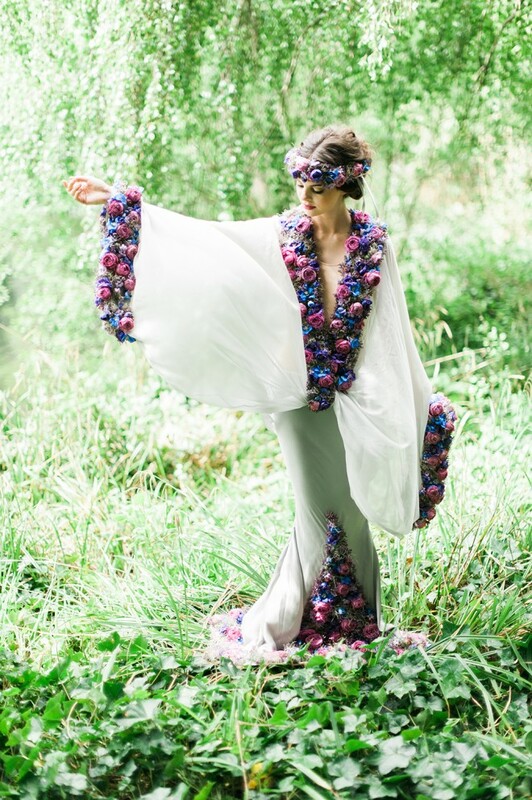 Rising up from the base of the dress, dissipating organically to hint at the delicacy of nature, it softly emanates a “lady of the lake” aesthetic. Detailing is applied around the elongated neckline and cuffs. 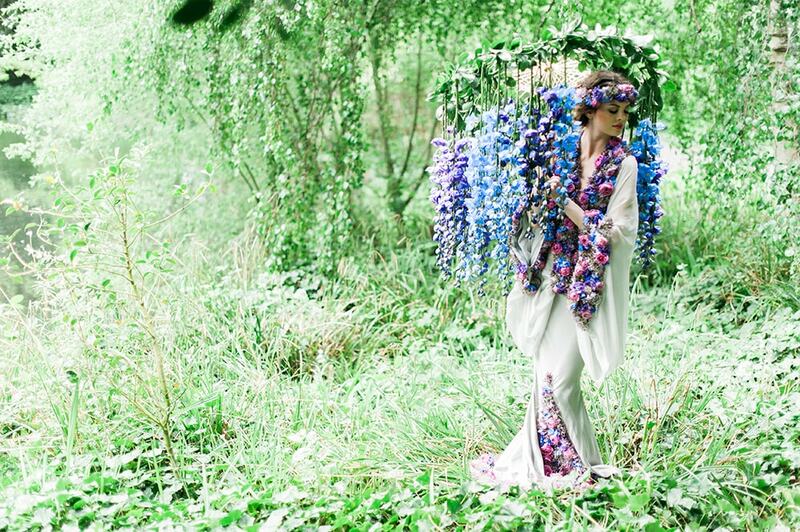 Crafted from a palette of pink, purple and blue tones the dress sits beautifully within an organic environment. The floral headband utilizes the same floral detailing as the dress with a soft asymmetrical trail of grey satin ribbon, which again nods to the 1930’s style. Watch how the dress was made in the video below, courtesy of Urban Cinematography.